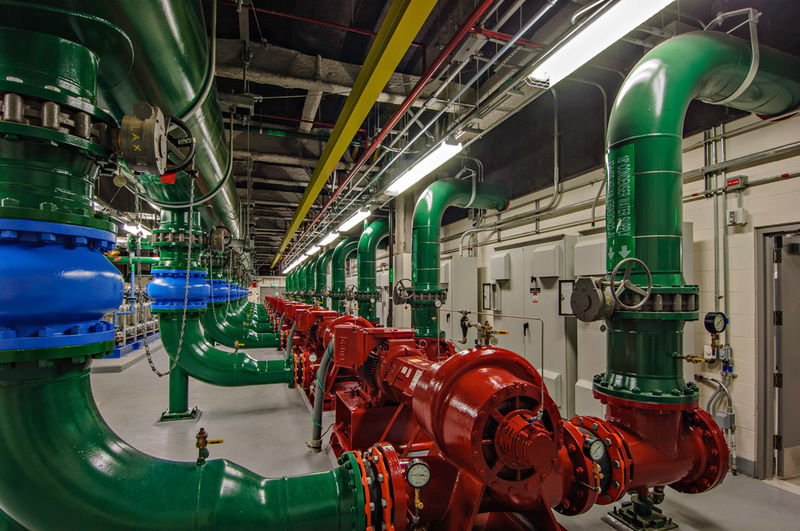 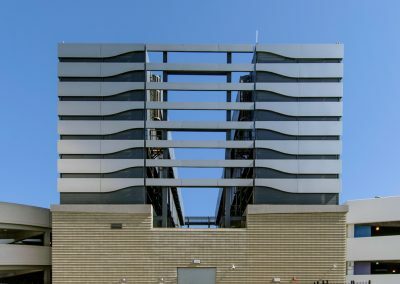 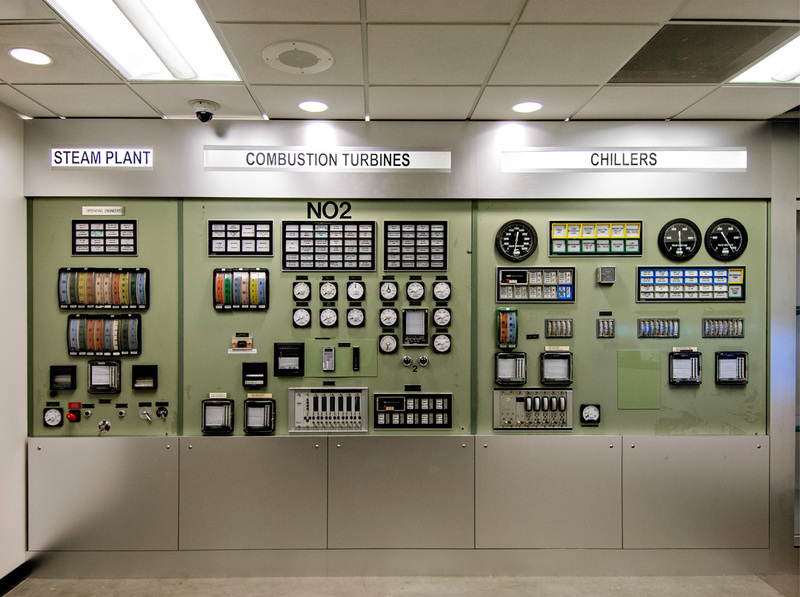 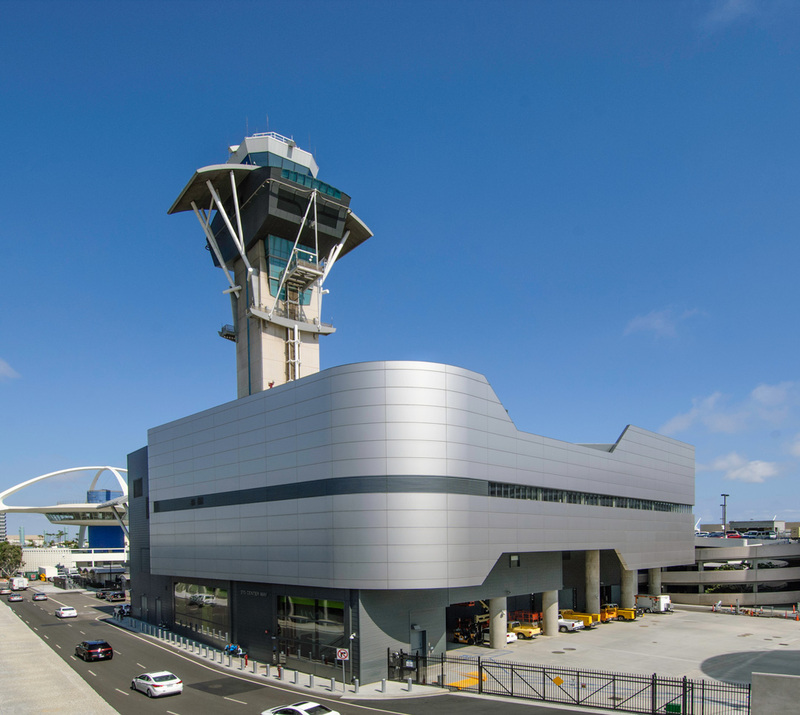 Gruen Associates was the Architect for the 83,000-SF Central Utility Plant (CUP) Replacement; designed to meet increased heating and cooling capacities in anticipation of LAX’s new Bradley West Terminal. 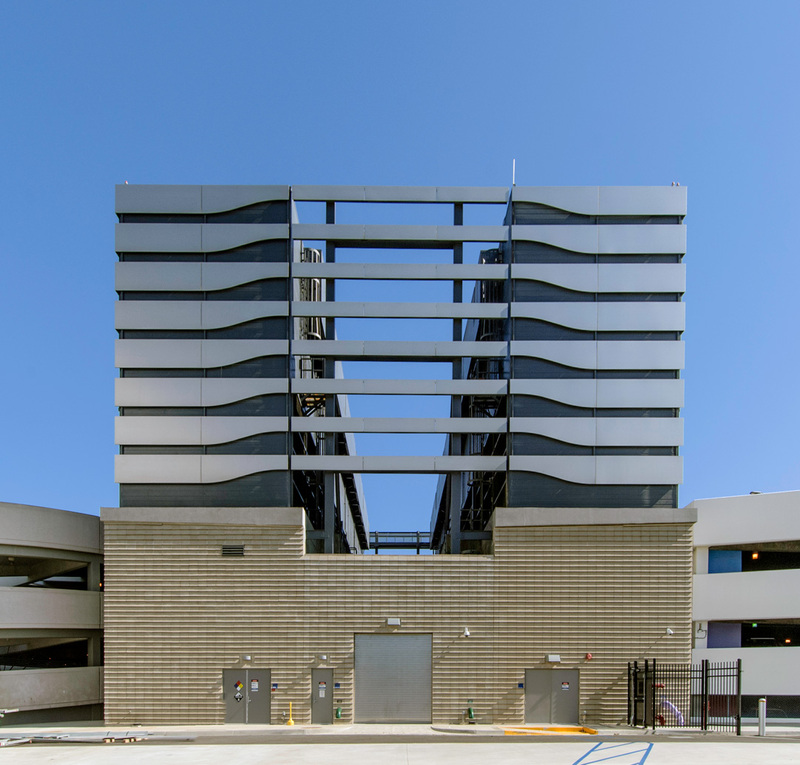 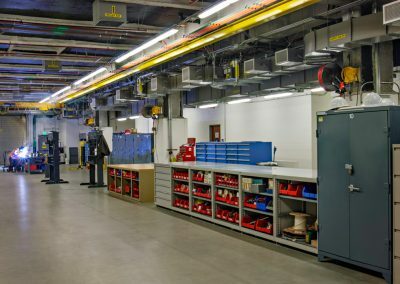 The critical facility presented unique design challenges—architectural context, very tight site, security and height limitations, and keeping the existing CUP facility fully operational during construction. 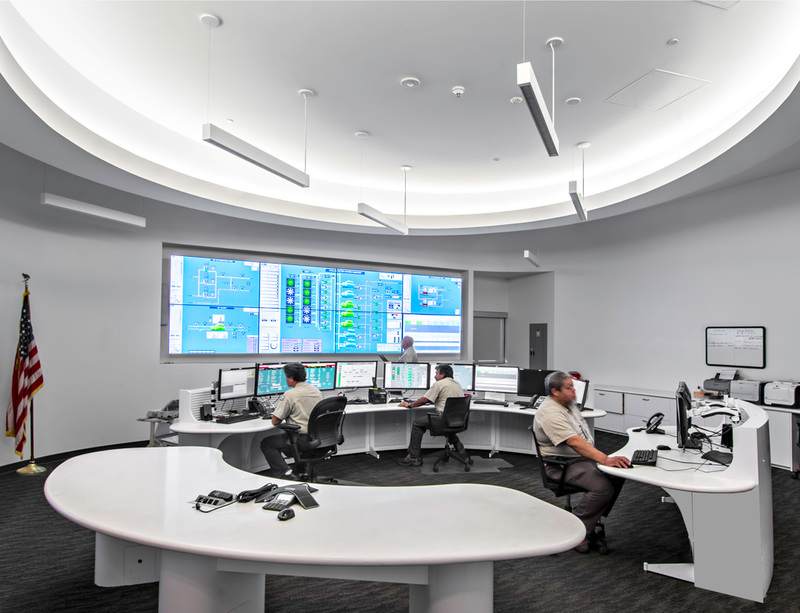 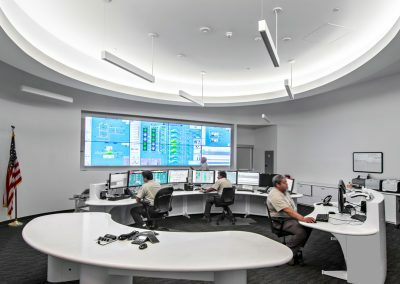 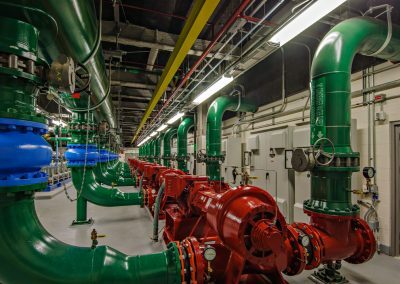 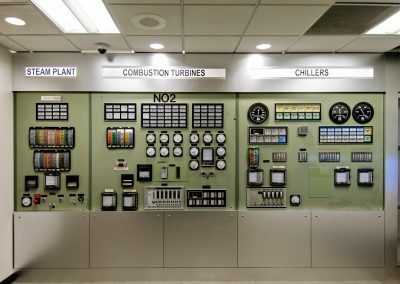 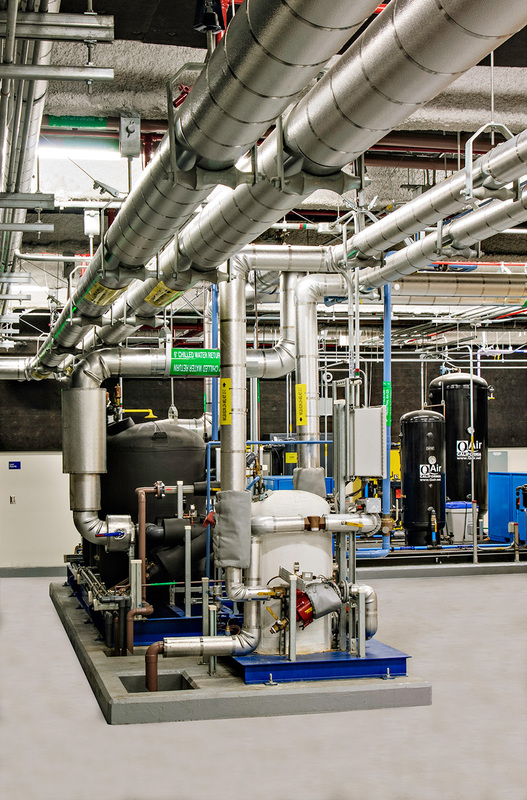 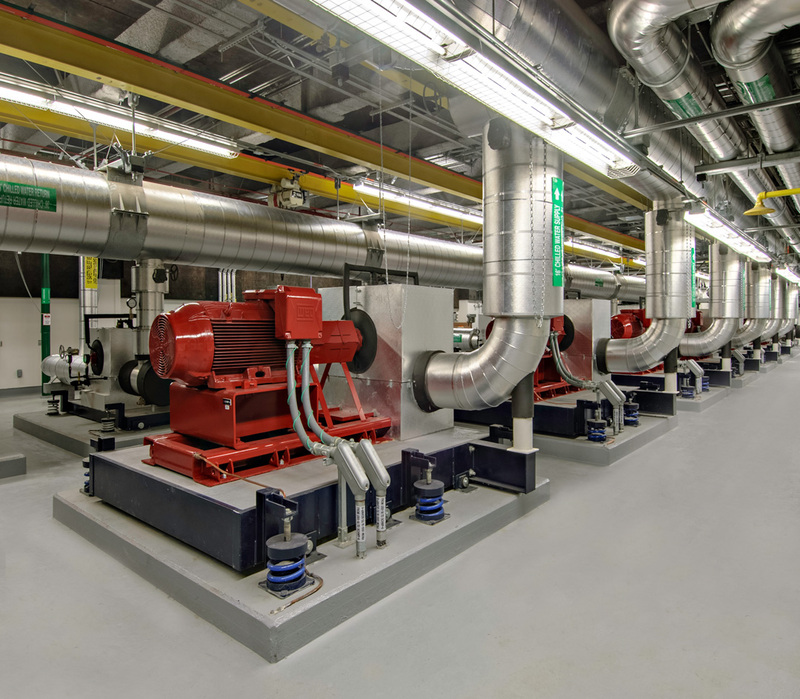 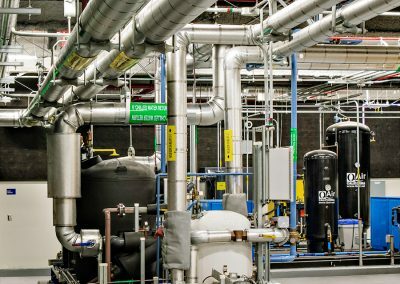 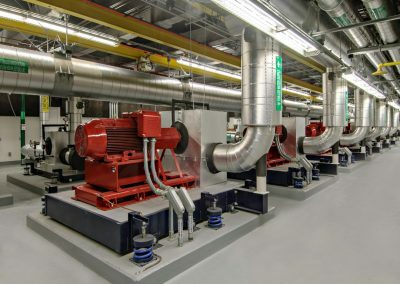 For LAWA’s first Design-Build, the team’s early collaboration for design and construction improved 24/7 operations, increased efficiency and performance, maximized the CUP’s heating capacity of 72,000 MBH and 20,000 (19,560) peak tons of cooling capacity to heat/cool the entire airport; and included water supply and return systems. 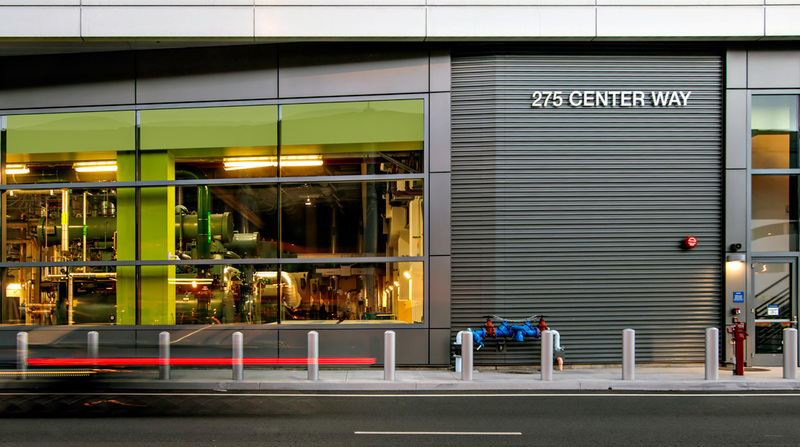 The delivery method also facilitated the on time, under budget delivery of the new CUP. 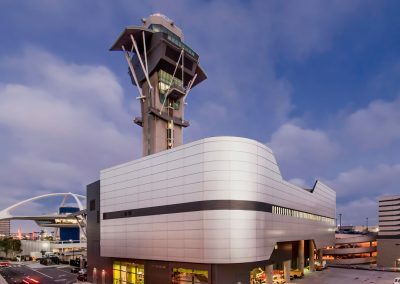 Gruen Associates’ design solution seamlessly integrates into the existing airport context while minimizing the CUP’s overall massing appearance through the organization of the three inter-related structures—the CUP, Cooling Towers/Maintenance Building and the Thermal Energy Storage (TES) Tank. 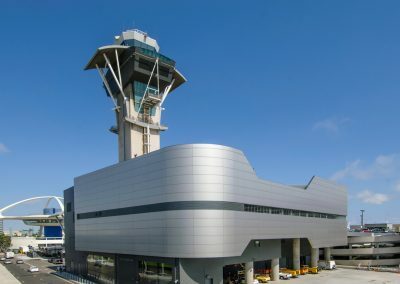 Their location is strategically positioned near the airport’s control tower and directly adjacent to the existing facility for an improved, functional layout. 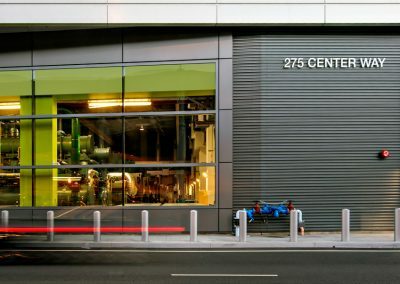 In addition, the TES Tank (featuring lighting effect) and above-ground maintenance building were constructed where the existing CUP was previously located. 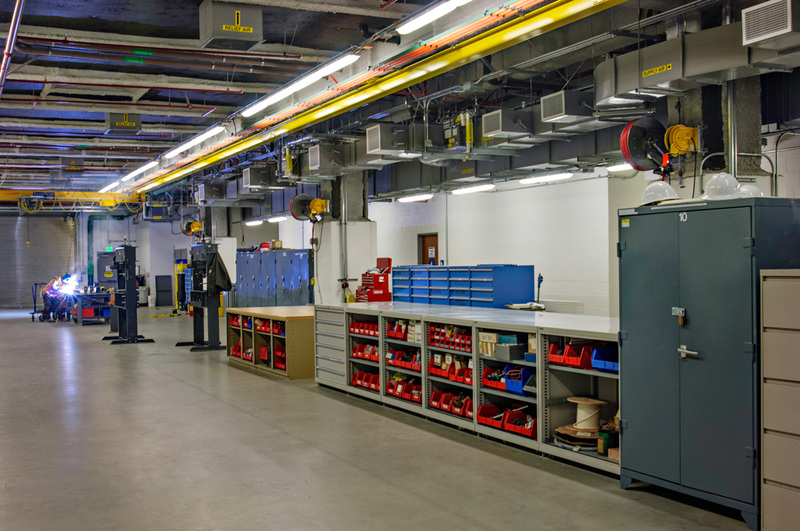 The new facility was brought online upon completion as the existing CUP was deconstructed and replaced. 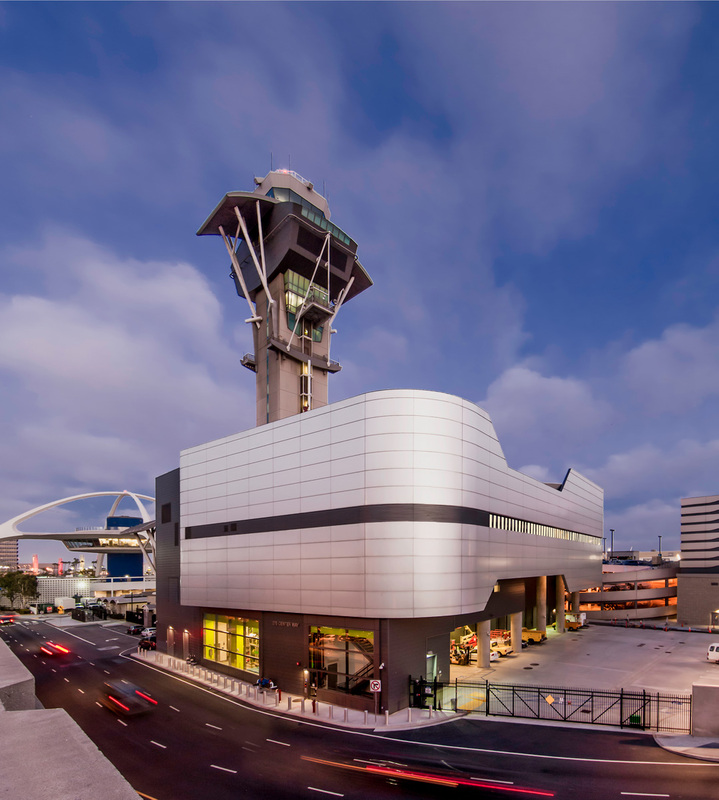 LAX is the first airport in the nation to achieve LEED Gold certification as a result of the sustainable design strategies implemented for the CUP project.